Scrapmettle Blueprints is the education arm of the Scrapmettle operation. In schools, where rubrics and The Common Core shape the academic culture of the classroom, Scrapmettle carves out moments to infuse artistic culture and regenerate imagination in our youth. 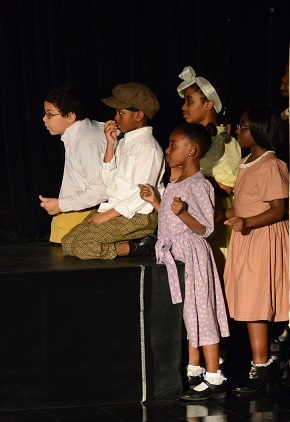 Inherently, the arts engenders critical thinking and social development at all levels. Below are a few of the projects built in collaboration with educational and cultural organizations that engage children's creativity and support their overall development. What happens when kids are interested in one thing (radio) and the grown-ups are interested in something else (ecology)? We do both. For this project, radio broadcast and production became the teaching tool for 4th and 5th graders to learn about ecology. To narrow such an expansive subject and play up the double entendre, we decided to focus our full attention on the air and gather participants in Senegal and the US to produce a podcast about the state and condition of the earth's atmosphere. 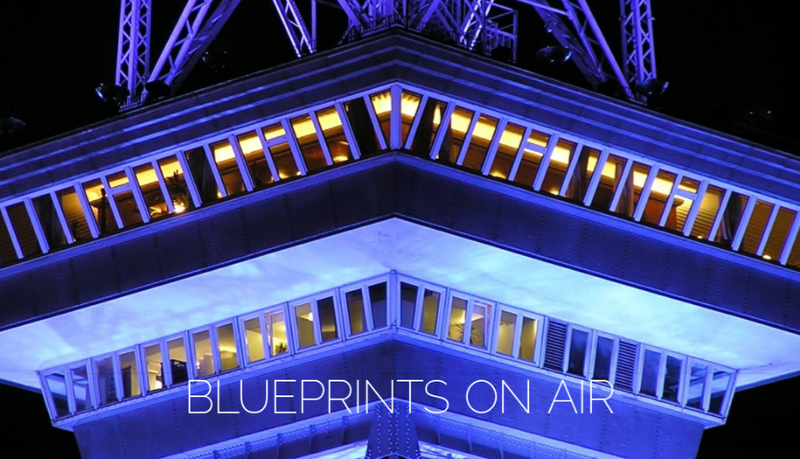 Blueprints | ON AIR™ is a part of the Blueprints Global Exchange (G-EX) Program that uses technology to bridge learning communities across the globe where varied experience and collaboration are the best teachers. Scrapmettle Blueprints program designs and projects are constructed on a solid foundation in K-12 curriculum so that real-life application enhances what they learn in the classroom. Become a sponsor for this project or find our more about other Scrapmettle projects on our contact page. 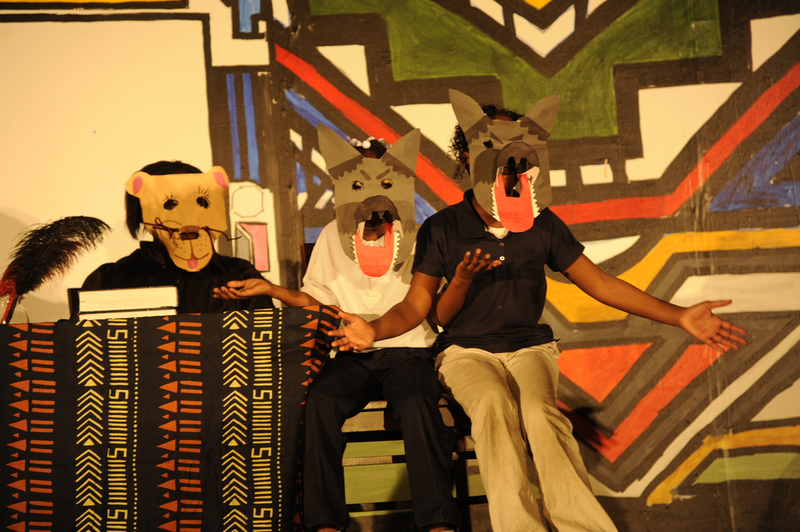 Ndebele art and the folklore of South Africa was the driving force of a theater education project designed for a class of 3rd grade girls. Weekly lessons incorporated writing, South African artistic culture and performance in a 12-week series that ended in a performance of a folktale about a monkey who uses his musical ability to get himself out of trouble. 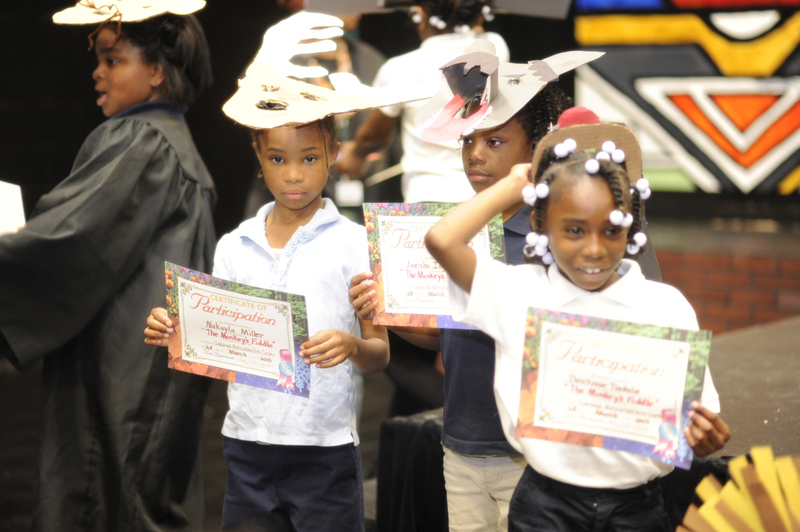 We embarked on this project to honor the literary and artistic legacy of Ezra Jack Keats. Author/Illustrator, Keats, is one of the first to create images of children of different ethnicities in his children's books. His simple plot lines and illustrative medium (collage) made literacy fun and gave us a great excuse to design a set entirely of paper. With the blessing of the Ezra Jack Keats Foundation, the children adapted and performed The Snowy Day and Pet Show. The timing of Dia de los Muertos ties in perfectly with a number of other cultural holidays in the US and Caribbean. Taking from the familiarity of honoring and respecting their ancestors the children in this out-of-school program made a papel picado, sugar skulls, danced the jarabe tapatio, learned about La Catrina and her artist, Jose Posada and then made a community offrenda. Rachel Isadora's Caldecott Award winning children's book Ben's Trumpet, set in 1920's gave us a chance to delve into the history, music and dance forms of the Harlem Renaissance period. Our team of artists, actors and stage crafters worked with the children after school to transform Isadora's winning illustrations into live characters and memorable scenes. Somewhere in the middle of hand-stitching a Brazilian flag and learning about the language and culture of this South American country, kids in grades K-6 gained an appreciation for the blended culture that passed down capoeira. Brazilian capoeirista, Joao Gazeta taught them the music and basic movements and helped stage a couple of fight scenes for their version of the Legend of Besouro played in the round or the Roda, of course. We were surprised to discover a little known Turkish community in a neighboring city where this project was produced. They heard that we were writing and making our own puppets and invited the children to perform at their cultural center. The younger Turks had only heard of Karagoz plays from their elders who reminisced about seeing them as children. This turned into a memorable cross cultural, intergenerational exchange.